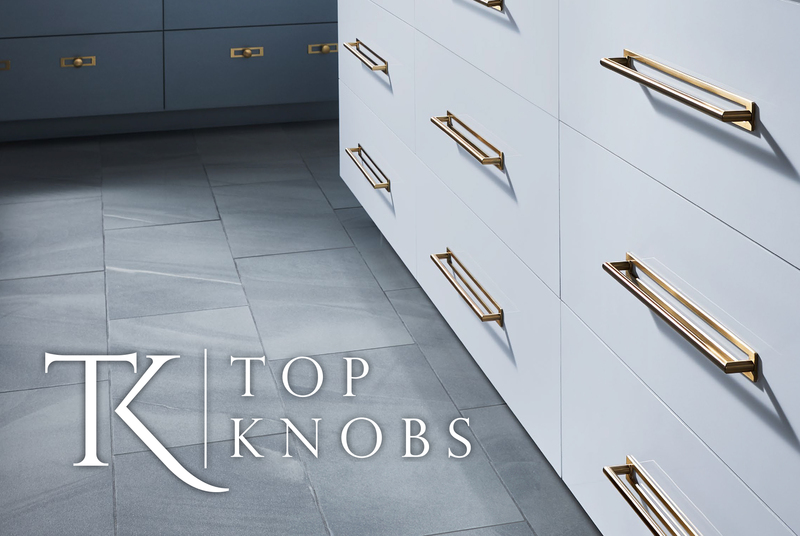 The Top Knobs KBIS 2019 Preview is Here! This February, Top Knobs is heading back to Vegas for the annual Kitchen & Bath Industry Show (KBIS) at the Las Vegas Convention Center. The 2019 show runs from February 19-21 and features the freshest designs from over 600 leading brands in the industry. Over 31,000 attendees will visit the show for a first look at trends for the new year. 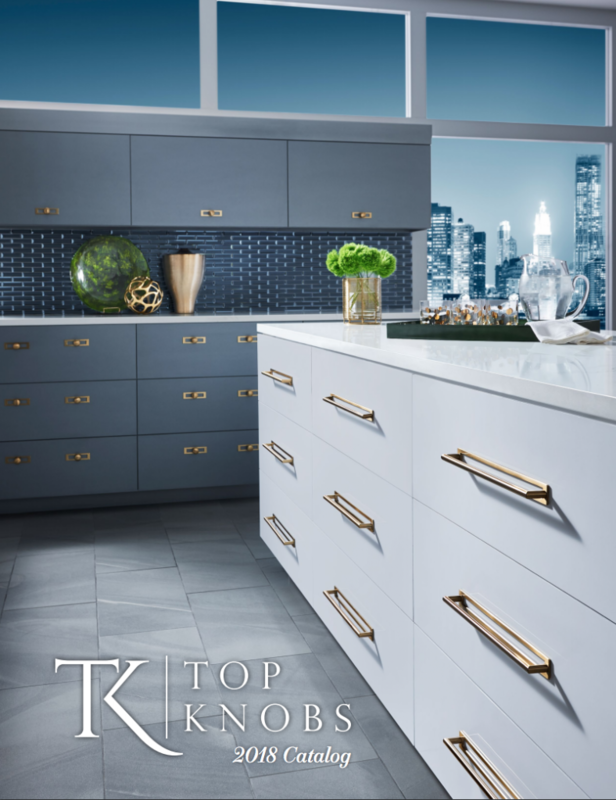 Top Knobs is exhibiting at booth N2763 where they will be showcasing their latest catalog of offerings, as well as a new digital selection tool for designers and homeowners. For free expo only passes, register here with code: EXIV131819. 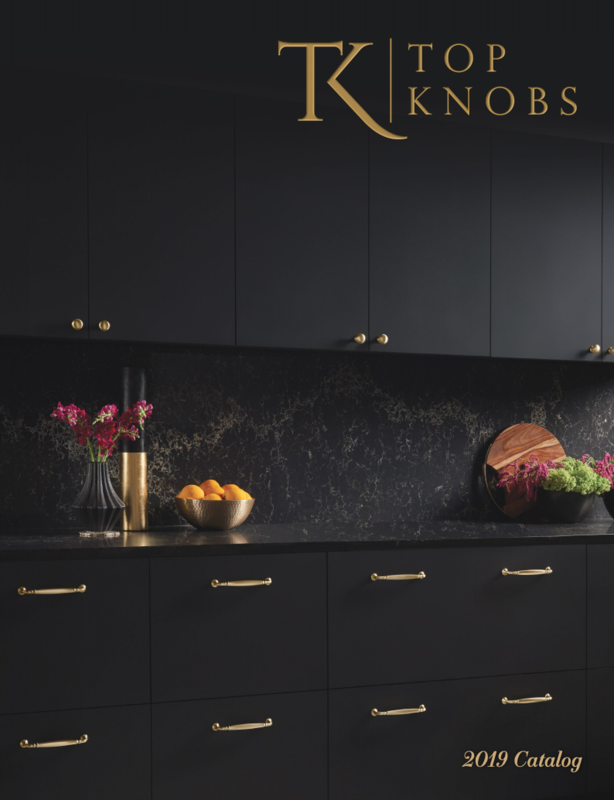 To kick off the milestone year, Top Knobs will unveil the Grace Collection at KBIS 2019. Grace is a celebration of Top Knobs most popular designs over the past 25 years, stripped down and crafted for a collection of hardware that is nothing short of spectacular. Top Knobs is announcing the launch of its new online digital selection tool that eliminates the stress of hardware selection by transforming it into a personalized design experience. The new tool makes choosing the right style, finish and size easy (and fast) for designers and homeowners. 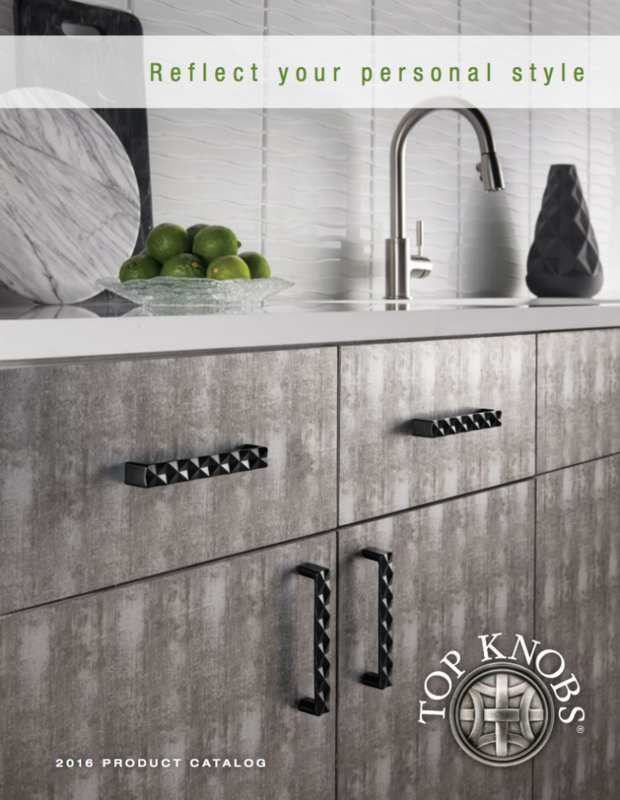 Just in time for KBIS, Top Knobs releases their 2019 product catalog. 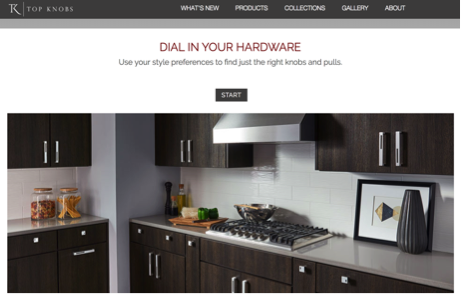 The beautifully designed and easy to navigate catalog features all of Top Knobs extraordinary collections of cabinet hardware. New to the 2019 catalog is the Grace collection. Returning favorites include the 2018 Lynwood collection and Ash Gray / Honey Bronze finish collection. For even more Top Knobs products, news and projects, stay connected on Facebook, Twitter, Pinterest, and Instagram. 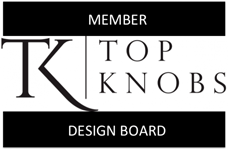 Top Knobs, the leading manufacturer of decorative knobs and pulls, unveils their new corporate logo for the 2018 year. The new logo represents the most dramatic change to the brand’s identity since the turn of the century. Developed by the Top Knobs award winning product design team, the clean style and transitional serif font illustrates movement towards a more modern era while staying true to the roots of traditional design. The new logo was first seen in the 2018 product catalog, which is available for download here. Top Knobs 2018 Catalog Now Available! 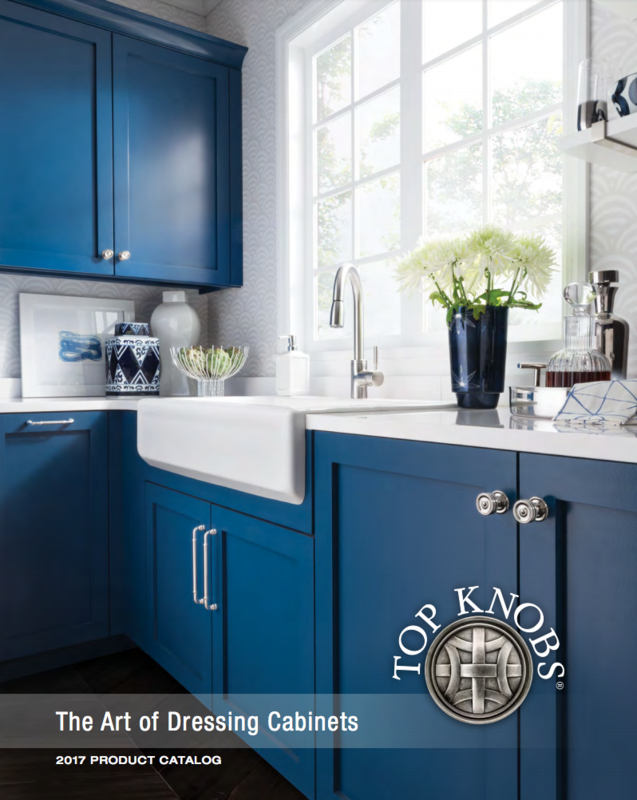 Take your cabinet hardware from ordinary to extraordinary with the new 2018 Top Knobs catalog! The catalog, now available online, features the Lynwood collection and the expansion of Ash Gray & Honey Bronze finishes, which were newly introduced for the 2018 year. Also featured is the Devon Collection, introduced in 2017. Returning favorites include the popular Bath Collection, Passport Collection, Appliance Pull Collection and many more. Take your cabinet hardware from ordinary to extraordinary with the new 2017 Top Knobs catalog. The catalog, now available online, features unmatched selection, with over 4,500 decorative hardware designs, 36 collections and 40 finishes. The new Devon Collection is featured, as well as the Barrington and Serene Collections, introduced in 2016. 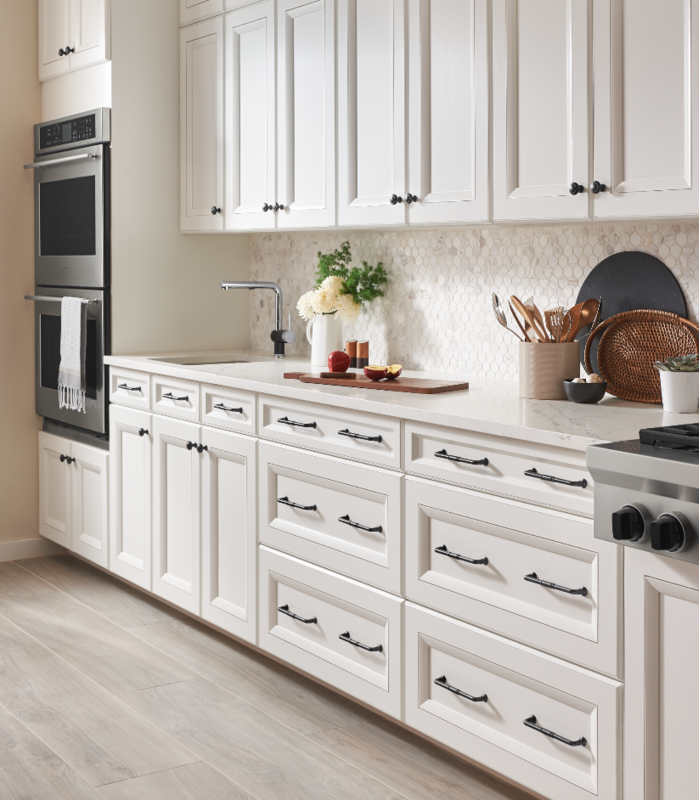 Be sure to check out the returning favorites, including the popular Appliance Pull Collection, Mercer Collection, Aspen Collection and many more! All Top Knobs products come with a lifetime warranty. For more Top Knobs news and projects, visit follow us on Facebook, Twitter, Pinterest, Instagram and Google+.